This entry was posted in Cityscapes, New York City, Places, Street Photography and tagged Fuji X100T, New York City, photography, postaday, sunrise, Times Square, yellow. Bookmark the permalink. Excellent! I’m looking forward to seeing NYC in the morning … in 2 months! Nice one Stacy, I can’t wait to go back. Oh, me neither! Luckily, I’ll be back in October – so not too far off 🙂 Thanks so much! The yellow M&M looks as though he views the yellow cabs as kin. From one coast to the other 🙂 Quite a difference, huh? Thanks (again), Jane. I really must visit your work! Thanks, Stacey. I grew up in NJ and now ended up in CA so your pair of shots are dear to my heart. Hi Pauline! 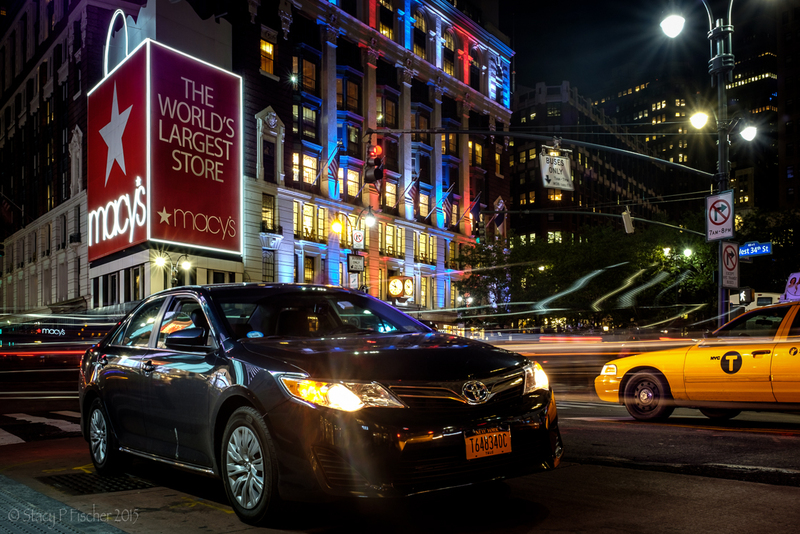 It’s amazing – truly the city that never sleeps … and I find it completely exhilarating 😄 I do miss it, but will be returning in October both for a street photography workshop with one of my favorite street photographers and – wait for it – another blogger meetup that includes Laurie! Woo-hoo!! I heard about that – Laurie is excited! It will be such fun!!!! I think I was actually crouching in the street behind a construction cone 🙂 Thanks always for your kind comments, Raewyn. 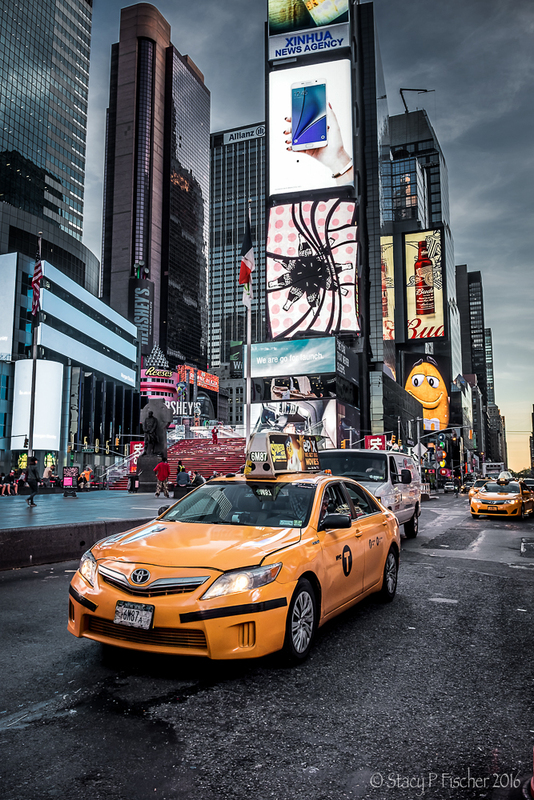 Great capture of the yellow cabs. They’re so iconic. Nothing yellower for certain. Maybe a dandeliion.